LOS ANGELES, CA — The opening session of CapRE’s Seventh Annual Southwest Data Center Summit: The Telecom Evolution was a Keynote Presentation by Jason Shepard, Founder & Managing Principal at Cresa MCS. 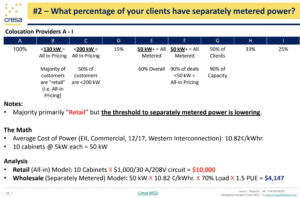 Findings from Cresa MCS Annual Colocation Survey provided a snapshot in to the state of the industry, and to kick off that discussion, Shepard provided some clarification about the reason that some companies are trying to get out of Southern California, while some other companies are trying to get back in. 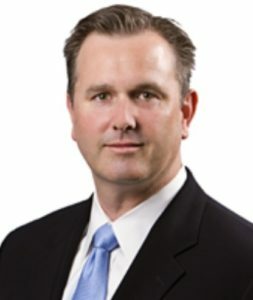 Jason Shepard specializes in representing end-users in multi-market evaluation, site selection and acquisition of data centers and/or real property for data center conversion across North America. Widely recognized as an expert in this field, Jason is regularly asked to speak at industry events, has been quoted in multiple media sources and has a specialty consulting practice exclusively for data center occupiers. Jason’s platform evolved during the technology boom of the late 1990’s. While most abandoned the market after the crash of 2000, Jason committed to building a better knowledgebase and client service offering. Between a decade of data center tenant representation, the volume of completed projects and a multitude of consulting assignments, Jason’s experience is unparalleled in the industry.